Free giveaway. For a short time it is possible to get PDF Compressor Pro, which compresses PDF files, for free. Sending big PDF files via email is much more easy and you save 30 $. 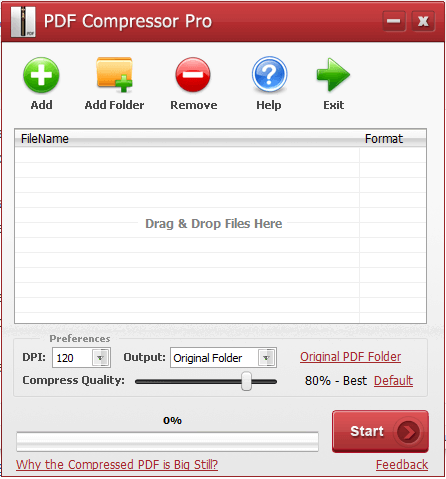 PDF Compressor Pro converts scanned PDF file into smaller file. With 23% compression it should be capable of 30-megabyte file converted to 8 MB file in order to maintain the good quality of the document. Another feature that will delight all those who want to unlock a locked PDF files. PDF Compressor application automatically removes all restrictions from protected files trough compression. Of course, I also tested the program by myself. For small files that are less than 1 MB, or a few MB , the compression with this program even increased the size of files, but to be honest, why would we want to compress the small file. For truly large files, large 20,30,50 MB, the application proves to be promising. Free promotion for PDF Compressor Pro runs from 15 January to 1 February 2017 with serial code L1JWI06SD952587.